It is no secret better pictures help draw more attention to a home, which draws more interest, showings and ultimately a better offer. More buyers start their home search online where they see your homes pictures, which gives them their first impression on the home. The first impression can lead to them making the next step of viewing the home or moving on to another property. We recognize this and take pride in getting the best pictures of your home to help sell your home fast. Pictures are EXTREMELY important when selling your home and should be taken very seriously. The reality is 85% of buyers search online and that percentage is growing everyday. First impressions are key for a listing and having a bad photo can really cost you. With great photos your home will generate more interest from potential buyers which leads to more showings and the best exposure to the market. Marketing a home to its fullest potential is a goal I have when listing a home and GREAT pictures play an important role. 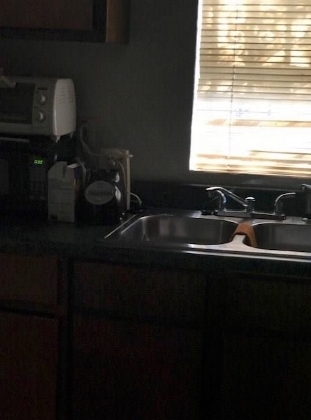 Bad photos are a norm for most listings!!! Yes, bad photos are the norm, and sellers deserve better! I see listings on a regular basis with bad lighting, bad composition, out of focus and I even see homes with just a couple of pictures. The worst is when there are no pictures at all. Is your real estate agent taking your photos seriously? 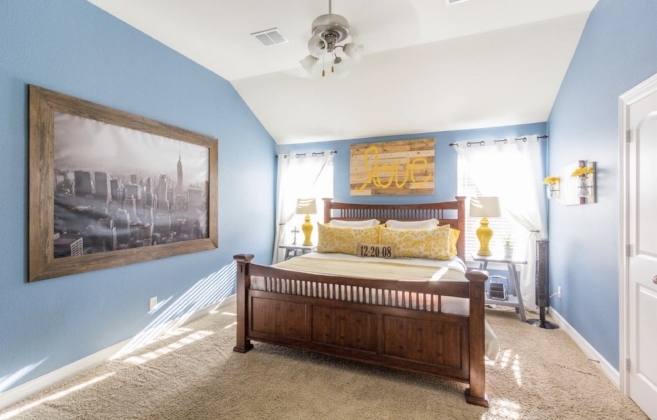 How will they market your home with those photos? Let me guess, they take the photos with their phone, stick a sign in the yard and see what happens? How do I exceed the norm? Let’s take a look at a few bad listing picture examples. The “No Picture” picture…. really? There is no excuse for this and leaves potential buyers either moving on to another listing or with no idea of what the property looks like. In both cases buyers are less likely to visit the property and in turn have less showings. Great picture, it is even professionally taken however close the garage door it’s distracting. The camera exposed for the sky & roof, which turned out great but the front of the home too dark. This is not a professional picture and probably an agent taking it using their phone. Another phone camera picture with a couple of problems, it was take in portrait mode, under exposed & clutter laying around. Great home with a nice long driveway but instead it looks like they are taking pictures of the power pole and lines. This agent didn’t even get out of the car. A nice trimming of the tree, bushes and grasses would have helped along with getting the rest of the home in the picture. Not sure if they are trying to sell a home or the iron fence. I couldn’t do this post without a picture example of the agent taking a picture in the mirror, yes this still happens. Take a guess is this a used car lot picture or a picture of a home for sale? Seriously move the cars, that’s actually a pretty big yard. Great curb appeal and this picture really shows it off. Notice you don’t see any street or sidewalk, you can see the home, lovely sky, and the trees really frame the picture well. This really shows off the entrance to the home, no dark areas, good color, the entrance is inviting and the landscape frames the picture very well. Overall this picture is very welcoming and inviting, which would only attract buyers. This shot required a wide angle lens to capture the whole space and it gives the room a very spacious feel. Notice the room is well lit and the light in the room is actually off. These photos really show off the layout of the living area so the potential buyers have a good feel of the home just from the pictures. Again there is good lighting and composition with no distractions to the viewer. As you can see photos make a big difference and with out a doubt it is a very important part of marketing a home to an online prospect. Showing off your home to it’s fullest potential is just one of the many ways to market your home when we list your home. We take all aspects very seriously and pictures are no exception. I hope this was informative and maybe you had a laugh or two as well. If you have questions or want to know more please do not hesitate to contact me.